Your place for New Rock and Killer Classics, The Southern Illinois Sports Network, and The Gamer Bros Live Podcast heard on spreaker and IheartRadio smackfmradio.wix.com/smackfm. 60 Minutes Straight of your Active Rock, and other Rock genres, and as well Mr.Hurricane coming at you with the toughest Smack Talk you'll find on Radio. Always Live, Always Rock, Always Smack Talking. 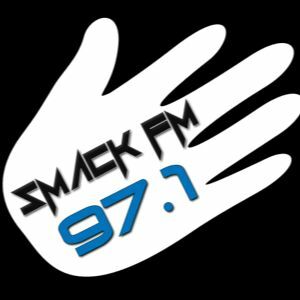 It's Rock 97 Smack FM!